Archer Green Apartments is a development that will replace Jamaica’s NYPD parking garage with an affordable housing development. 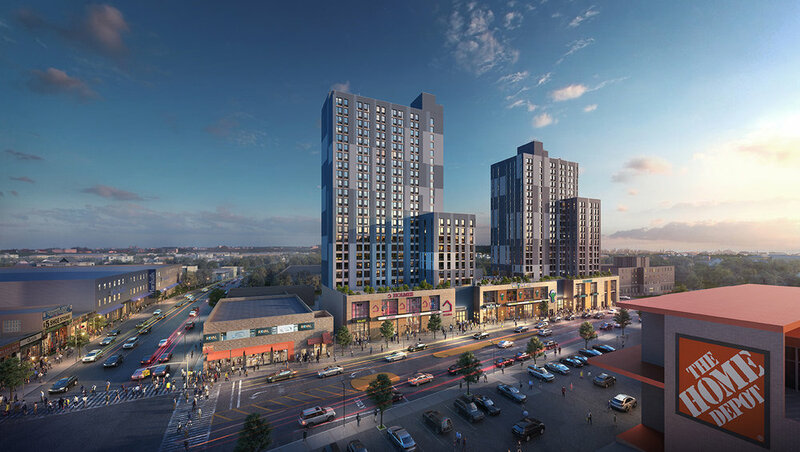 The 23-story development will include over 380 affordable apartments, and a 15,000 square-foot community facility, including 68,000 square feet of retail and commercial space that will make up two separate towers. Construction on Archer Green is set for completion in summer of 2021.